Nydelig aromalampe, fyll litt vann skålen, tilsett noen dråper eteriske olje, tenn på te-lyset, og nyt den deilige duften som fyller rommet. Du kan velge oppkvikkende oljer, avslappende oljer, beroligende, sensuelle, forfriskende, meditative oljer m.fl. This collection of aroma burners creates a stylish look. They are subtle accessories in a modern gray color, finished with floral ornaments. These eyecatchers are often used as decoration for the table, the windowsill or the mantelpiece. The burners are designed in such a way that they stand firmly on a flat surface. The timeless design means that it fits into any environment regardless of the style of the interior. Try it yourself. You rejoice most of the design when the candle burns and the light of the flame sparkles through the holes and shines on the wall. This gives the whole a cozy look and warm feeling during the autumn and winter days. Add a warm scent and you will strengthen your mind to see the positive during the dark and cold season. Underneath you place a burning tealight so that the heat causes the wax, oil or salt to melt and the scent spreads. In the summer, the burner is ideal for anti-mosquito waxing. Or what do you think of nice refreshing fragrance in the toilet or bathroom like hammam or eucalyptus smell. Palo Santo is also an aroma that stimulates extraordinarily during a meditation. Also nice is the aroma burner in the bedroom with a fresh linen or lavender scent to promote sleep: they do their work everywhere. Aroma’s are very appreciated to add a little bit of luxury to your experience? Fine smells are often very desirable during a massage treatment or to add an extra dimension to your meditation session. 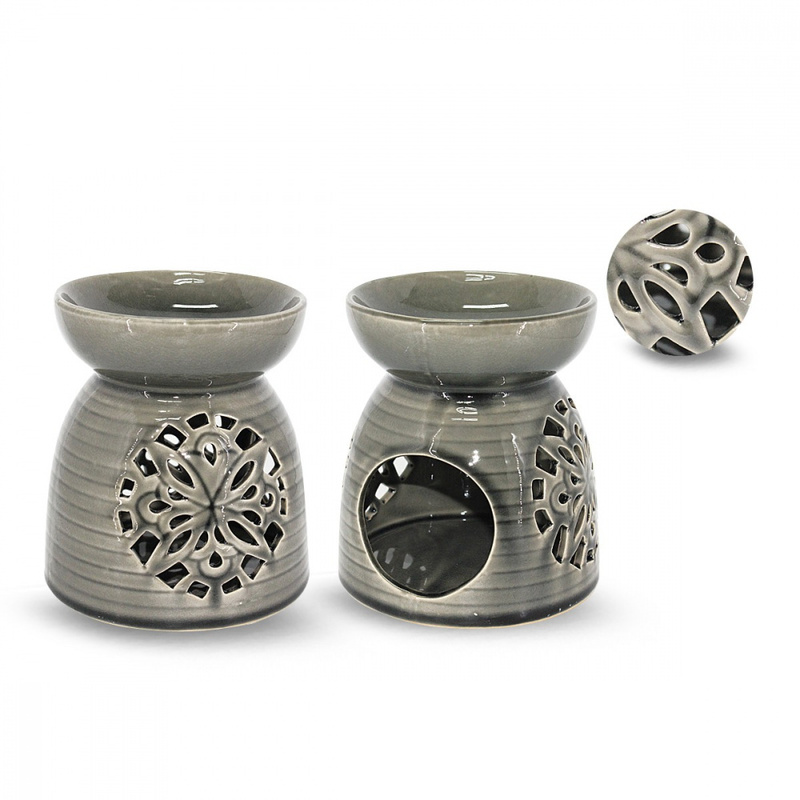 What can stimulate the senses more than a beautiful burner as an accessory, with the candlelight that shines on the wall?